A Web Site Devoted To The History Of Early South African Mining Related Postcards, Tokens & Medals. This site presents a pictorial history of early twentieth century mining in South and South West Africa as illustrated through the medium of contemporary picture postcards, tokens and medals. The latter being subjects which hold particular interest to the site's Webmaster. In addition the site aims to provide a basic source of background history primarily to the development of diamond, gold and coal mining in specific areas of Southern Africa. The site contains a constantly growing on-line reference of contemporary mining related postcards, tokens and selected medals. These listings are not intended to represent either a complete or a definitive catalogue. The title for the web site "On the Rand" is taken from one of the most famous and extensive series of Edwardian postcards from South Africa. This colour printed series of cards illustrates both the mines and mining life in one of the world's most famous gold producing regions - the Witwatersrand which is centred around Johannesburg in the Transvaal. The development of this site is being approached as a long term project. Hence it will be under construction for a considerable time. For news on the progress of its construction be sure to check the "Site Updates" section on a regular basis. Back Ground History - This section of the site presents a broad overview to the history relating to some of the regions key mining activities and mineral discoveries. In addition it provides an introduction to some of the main personalities that helped shape the region's mining development. Mining Regions & Mine Location Maps - This is a useful starting point on the site from which to explore the regions principle mining locations and from where to view their related postcard, token and medal issues. This section outlines the region's main mining areas and details the minerals worked in each. Additional historical details are given concerning the developments of each location. A list of mines and location maps are presented by region which act a spring board from which to view and explore the postcards and tokens related to them. Mining Related Postcards - This section of the site presents some basic introductory information on the subject of early picture postcards from Southern Africa. It also offers a means by which the site's on-line collection of mining related postcards can be quickly accessed together with information on their respective issuing locations and subject matter. Mining Related Paranumismatics & Medals - This section of the site contains an introduction to the various types of mining related tokens and medals of Southern Africa. It also offers a means by which images plus more specific information regarding individual such token and medal issues can be quickly accessed. Links - For further background history related to the region's mining industry plus related topics view our recommended web page links. Bibliography - This section of the site contains a list of reference works and source material on the subject of Southern African mining related postcard and token issues plus back ground histories. Site Update News - Given the long term development of this site we aim to add to its contents on a regular basis. For a list of new content additions check this section of the site at regular intervals. Acknowledgements - This site benefits from the help and information supplied by many different contributors who are gratefully acknowledged by the webmaster is this section of the site. 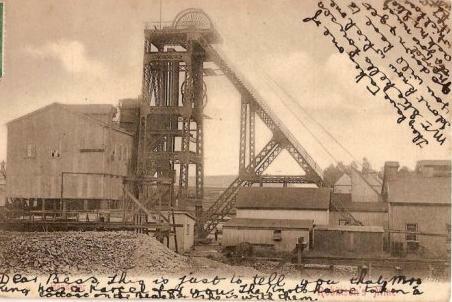 Site Discussion Forum - If you have any questions or information to ask or share with others on either the subjects of the region's mining history or its related postcard and token issues please feel free to post an entry in our Discussion Form pages. 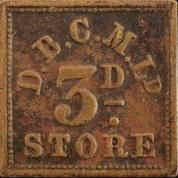 This section of the site may also be used to view and submit mystery mining related tokens or postcards requiring further identification. Site Guest Book - Please leave us your feed back and comments on our site. Classified Advertisments -As keen collectors and researcher of Southern African mining related postcards and tokens we have included a special section on this site where anyone with similar interests may publicise their "wants" or any relevant items they may have "for sale or exchange". Unless state otherwise all material and images are © Mark Smith 2006.